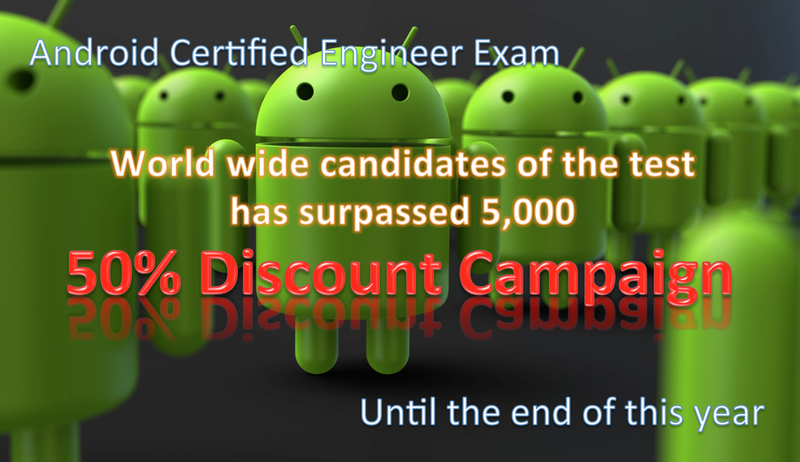 OESF start the worldwide campaign to celebrate all candidates of the Android Certified Engineer Exam has surpassed 5,000, Now you can take “OESF Certified Engineer for Android” test by the discount price until the end of 2015. We hope lots of engineers and students can get the certification in this time. This price is applied to Dec. 31st, 2015. We are looking forward to joining this campaign. If you are interested in taking ACE, or need more information, please visit our ACE official website from the link below. ACE can be taken at Prometric Center worldwide. To search for the test center which is convenient for you, please visit the website below and search.